Hyperosmolar nonketotic coma occurs in people with diabetes, usually type 2. It is a life-threatening event. Seek medical attention right away if you think you have any symptoms of an impending hyperosmolar nonketotic coma. Hyperosmolar nonketotic coma is a complication of very high blood glucose levels. Blood glucose often rises to these levels because of an illness or infection. The body will try to get rid of the extra blood glucose through the urine. The frequency and volume of urination will increase. Unfortunately, this process also washes out other substances in your blood. Some of these substances are important to your brain and heart. Low levels of these substances can lead to seizures , arrhythmias , coma , and eventually death. Hyperosmolar nonketotic coma can happen at any age in patients with diabetes, but is most commonly see in older adults and patients with type 2 diabetes. 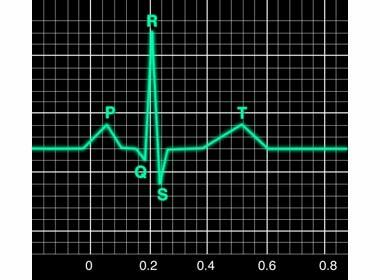 An electrocardiogram (EKG) may also be done to check your heart's electrical activity. Improves hydration and replaces lost substances. Usually started right away in adults to control blood glucose levels. Additional treatment, such as antibiotics, may be needed if a bacterial infection is suspected. Monitor your blood glucose levels regularly. Your doctor can instruct you about how often to check your levels, and what the numbers mean. Talk with your doctor about how to manage your blood glucose when you are sick. Hyperglycemic hyperosmolar state in adults. EBSCO DynaMed Plus website. Available at: http://www.dynamed.com/topics/dmp~AN~T115340/Hyperglycemic-hyperosmolar-state-in-adults . Updated January 1, 2016. Accessed August 24, 2017. Hyperglycemic hyperosmolar state in children. EBSCO DynaMed Plus website. Available at: http://www.dynamed.com/topics/dmp~AN~T906066 . Updated February 7, 2017. Accessed August 24, 2017. Hyperosmolar hyperglycemic nonketotic syndrome (HHNS). American Diabetes Association website. Available at: http://www.diabetes.org/living-with-diabetes/complications/hyperosmolar-hyperglycemic.html. Updated December 6, 2013. Accessed August 24, 2017. Wolfsdorf J, et al. ISPAD Clinical Practice Consensus Guidelines 2014. Diabetic ketoacidosis and hyperglycemic hyperosmolar state. Pediatr Diabetes. 2014 Sep;15 Suppl 20:154-79.